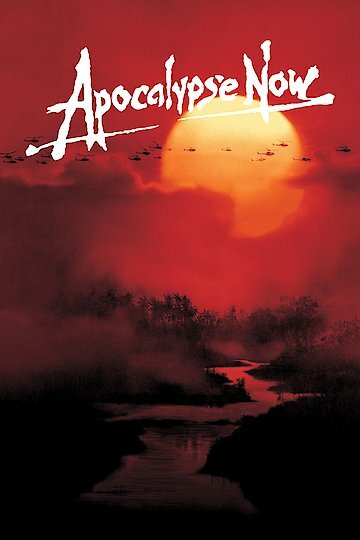 Apocalypse Now is an outstanding 1979 war film that is based on the novel Heart Of Darkness written by Joesph Conrad. This epic film was directed as well as produced by Francis Ford Coppola and it was written by John Milius, Francis Ford Coppola, and Michael Herr, who also provided the movies narration. Apocalypse Now stars many well known and outstanding actors such as Marlon Brando, Robert Duvall, Martin Sheen, Fredric Forrest, Albert Hall, Sam Bottoms, Laurence Fishburne, and Dennis Hopper. This is a seat gripping film that leaves you on the edge of your seat right up till the very end of it. This film is mainly focused on Captain Benjamin L. Willard, whom is a special operations officer in the army. This film is set during the era of the Vietnam War. Captain Benjamin Willard returns to Saigon where he ends up trashing a hotel room after a night of drinking heavily. Shortly after this incident, Lieutenant General Corman and Colonel Lucus find Captain Willard and tell him of a mission that they would like him to complete. This mission requires him to follow the Bung River into a Cambodian Jungle. This mission requires him to locate and kill Colonel Walter Kurtz, who has ultimately gone insane. Captain Benjamin Willard accepts the mission and joins the US Navy, who is running along the Bung River. Apocalypse Now is an excellent film showing Captain Benjamin Willards journey on his mission to find and kill Colonel Walter Kurtz. During this mission, Captain Willard will face many various obstacles that he must overcome in order to complete his mission. This film is jam packed with heart pounding battles, the loss of good men, and the craft work of Captain Willards ability to research and find Colonel Kurtz. You will witness Kurtz insanity and all the action in between. Apocalypse Now is currently available to watch and stream, download, buy on demand at Netflix, Amazon, Vudu, Google Play, FandangoNow, iTunes, YouTube VOD online.